Home > Moving Guides > Types of Moves > DIY Moves > How Much Does a DIY Move Cost? If you are planning a DIY move, it is most likely to save a little money. However, while forgoing professional moving services and tackling the task yourself may seem cost-effective, there are many expenses to consider. If you are wondering what kind of budget you'll need for a DIY move, the following guide will help you calculate expected costs so you are properly prepared. After this initial fee, you will be charged per mile you travel. This cost can vary depending on the time of year and even day of the week you move, but typically ranges from $0.79 to $1.29 per mile. You may also be charged a rental tax (between 6 and 10 percent of the cost of the rental) and an environmental tax, which is usually about $1 a day. If you are moving long-distance, you may also be charged an extra fee for a one-way rental. Ask any truck rental agency you are considering for your move about all extra taxes and fees you could incur with your reservation. Whether you are renting a truck or moving in your own vehicle, you will have to consider the costs of fuel in your moving budget. 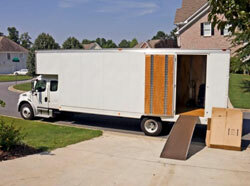 If you are moving locally, fuel may not be a significant expense, but for long-distance moves, it can surely add up. Truck rentals are usually provided with about a half tank of gas. No matter how much of that gasoline you burn during your move, you must replenish it before it is returned. If not, the agency will charge you for the gas anyway, and most likely at a much higher price. To determine what you can expect to pay in fuel for your move, calculate the miles you will travel and consider the gas costs in the regions you will pass through. You should also consider the fuel efficiency of the truck, which will be carrying a heavy load and may burn more gas than you do driving your personal vehicle. Damage waiver: Covers accidental damage to the rental truck and equipment due to accidents, vandalism, and sometimes theft. Personal accident (Medical): Provides medical and loss of life coverage to the driver (and often passengers) resulting from injury in an accident. So how much does rental truck insurance cost? The added expense can range from about $15 to $30 a day, but will ultimately vary depending on the company you choose and the extent of your protection. Most companies offer different bundles of coverage depending on your needs. Deductibles will apply. If you will be packing and wrapping all of your own items, you will have to acquire the proper materials. Moving boxes, packing paper, bubble wrap, packing peanuts, tape, markers--these supplies are all essential to effectively protect your belongings. While you can obtain free boxes and supplies for some of your possessions, your valuable electronics, fragile glassware and other delicate items should be packed in new, professional-quality materials. New moving boxes can vary in cost depending on size and type of container. Medium moving boxes can cost about $5 each, and specialty boxes like mirror boxes or wardrobe boxes can be about $9 each. You can also purchase moving boxes in bundles or moving kits by the number of rooms in your home. For example, a kit for a three- to four- bedroom home (complete with supplies such as tape, labels, and bubble wrap) will cost you about $250. There are also some essential tools needed to haul and load your furniture and appliances on moving day. Dollies, hand trucks and moving straps can all be rented from your truck rental agency. You may also need furniture blankets to wrap and protect your furniture from scratches or damage during the move. 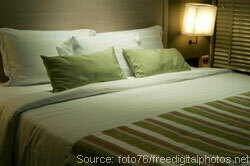 If your move is long distance, you may need to make stops along your route for food and rest. These expenses can add up, so before you hit the road, research affordable eateries and motels along your route. This will help you budget more efficiently for these expenses and save time during your travel. If you want to balance cost with convenience, you can opt for a partial DIY move by renting a portable storage unit. Portable storage containers are delivered to your property, where you can load them with your items and furniture at your convenience (initial fees typically cover up to one month). Loading is also easier because the unit is ground level, unlike a moving truck. When loading is complete, you simply call the company and a driver will pick up the unit and deliver it either to your new home or storage facility until you are ready for it. The cost of portable storage depends on the size of the unit, the length of time you need it, the distance of your move and the company you choose. Smaller units will cost about $100 a month, and larger units can reach up to $200 per month. You will also be charged delivery fees and mileage charges for a long distance move. Make sure to ask any portable storage company you are considering using for your move detailed questions about fees to calculate an accurate cost. Rate this guide How Much Does a DIY Move Cost?